Update (3 years, 8 months ago): Thanks to you our fans and supportes here is our Rock Opera promotional commercial! We are Porphyra and we are performing our Grecian Rock Opera at New York City's Zankel Hall at iconic Carnegie Hall on May 3rd, 2015. A successful crowdfunding campaign will help us offset the cost of this exclusive, spectacular industry showcase. Your support means the world to us. This is the first Greek Inspired Rock Opera of its kind and the first to debut at Zankel Hall at Carnegie Hall. So it is quite an important milestone. This showcase performance will take place in front of industry professionals on May 3rd, 2015. Set in the year 988AD, the Heroic Age of Basil II Emperor of Byzantium, the story chronicles Princess Anna Porphyrogenitos and her marriage to Grand Prince Vladimir of the Kievan Rus. An incredible story of Love, War and Peace brought to life through Hard Rock and Greek Folk music, belly dancing, actors, and a twelve piece rock orchestra. 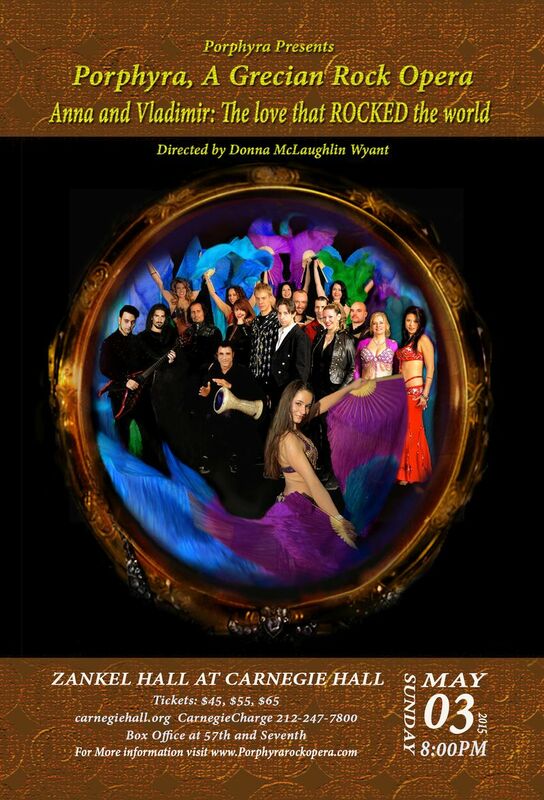 This is a first step towards taking our opera to the Broadway stage and we need your help and support to offset the cost of this production which will feature Greek folk music, belly dancing by The Dena Stevens Shazadi Dance Project, actors, and a 12-piece rock orchestra. Heavy, exotic, Metal epics & quick driving Hard Rock anthems, the new Porphyra album “Faith, Struggle, Victory” has something to please all Rock fans! New York based group, Porphyra, which comes from the Greek “Πορφύρα,” meaning Purple or Porphyry Chamber, formerly Phoenix Reign, has been around since 1998. Porphyra is an eclectic modern Rock band whose musical styling incorporates Hard Rock and Symphonic Metal with traditional Greek folk, progressive and classical textures. The touring, production line up features lead singers George Tsalikis and Elaine Tuttle along with tenor Demetrios Tsinopoulos and international recording star Christos Alexandrou. Billy Chrissochos is on guitar, Mike Savvas on guitar and tzoura, Paul Cerni on bass, Meredith Bogacz on violin, Frank Pace on drums, and Richard Khuzami on percussion. Music Director is Dimitris Lambrianos. In 2013, Phoenix Reign became Porphyra. Now truer to the original vision of a rock opera ensemble, Porphyra features strong melodic male vocals, female vocals and more Greek ethnic instruments. Greek history, mythology and sci-fi are at the core of our music. We have played Gussy’s, Blackthorn, The Shop Brooklyn, and Irving Plaza, opening for bands like The PUI Tribe, The BulletBoys and Anvil. Below are the official music videos for the album "Faith, Struggle, Victory", as well as some live concert footage and the epic Constantinople 1453 video from Porphyra's earlier days as Phoenix Reign. I was born in Astoria, New York but grew up at an early age in Athens, Greece. There I fell in love with my ancestral culture and Heavy Metal. 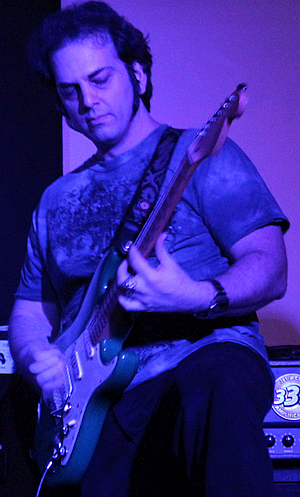 In 1998 I founded the New York based group Phoenix Reign, featuring double guitars, Greek melodies and historical themes. This band played all the famous NYC hot spots including CBGB’s, L’amour’s, the Voodoo Lounge, Castle Heights, Continental, Ace of Clubs, the Village Underground, Made in Brazil, Don Hills, The Chance, The Gramercy Theater, and the Good Times Magazine sponsored Festival. We opened up for acts such as Lynch Mob, Riot, Winger, Turisas and Epica, performed with the Astoria Symphony on multiple occasions, and also rocked the NYC Parks Festivals at Astoria and Athens Square Park. 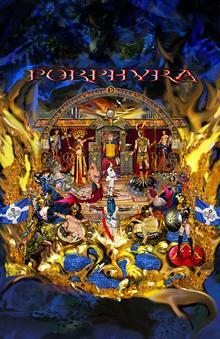 In 2013 the band was rebranded as Porphyra and I set out to create the first ever Greek inspired Rock Opera based on themes from the Macedonian Dynasties of ancient and medieval Greece. I am the primary composer, lyricist and producer of the band as well as an artist, graphic designer, photographer, video editor, event organizer, finance specialist, and historical consultant. I play the Alto Saxophone and the Guitar. I have striven to merge Rock and Heavy Metal with Greek music all my life. 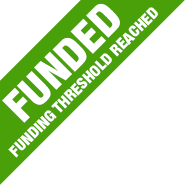 Every bit of money we raise will help us offset the cost of creating this showcase event. Reaching this goal will help us pay for the costumes needed for this epic performance. Putting together an elaborate event of this nature even for one night involves a lot of rehearsals. There are many costs involved with rehearsal venues, costumes, and travel. Reaching this goal would help us cover the costs of costumes and intense rehearsals over the next two months. Besides using social media channels, getting to this goal will help us promote our performance to our target audiences on TV, radio and in print. If we reach this goal we will be able to produce commemorative event merchandise and souvenirs. $40,000 will cover the entire production cost of creating this showcase performance of Porphyra, A Grecian Rock Opera and you will have our eternal gratitude. Following in the footsteps of The Who's Tommy and Green Day's American Idiot, our ultimate goal is to bring our rock opera to Broadway. Raising this amount will get us started on this amazing journey. Reserve your seat at the historic debut of Porphyra, A Grecian Rock Opera at Zankel Hall at Carnegie Hall. Social media shout out plus a digital download of the Faith Struggle Victory EP. Social media shout out plus a CD of the album Faith Struggle Victory. 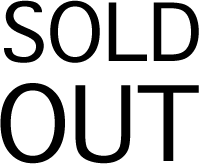 Your name added to list of supporters at Porphyra's website. Social media shout out, a handwritten letter from Porphyra, and an autographed CD of the Faith Struggle Victory EP. PLUS a limited edition signed Porphyra album “Faith, Struggle, Victory” official COLLECTORS' cover art 11×17 poster by Vassilios "Billy" Chrissochos titled “The Arrival of the Muse.” Perfect for framing! PLUS a limited edition Porphyra sticker, a Porphyra t-shirt INCLUDING your business logo on the t-shirt (if applicable), your name or business added to the sponsor page at Porphyra's website. PLUS one music lesson (guitar, vocals or drums) with the band. 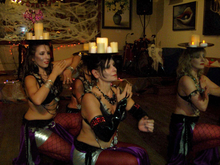 PLUS an exclusive belly dancing lesson with The Dena Stevens Shazadi Dance Project. PLUS an exclusive presentation with Billy Chrissochos’ Re-enactment Organization of Greek and Persian Armor of the Hellenistic Age. 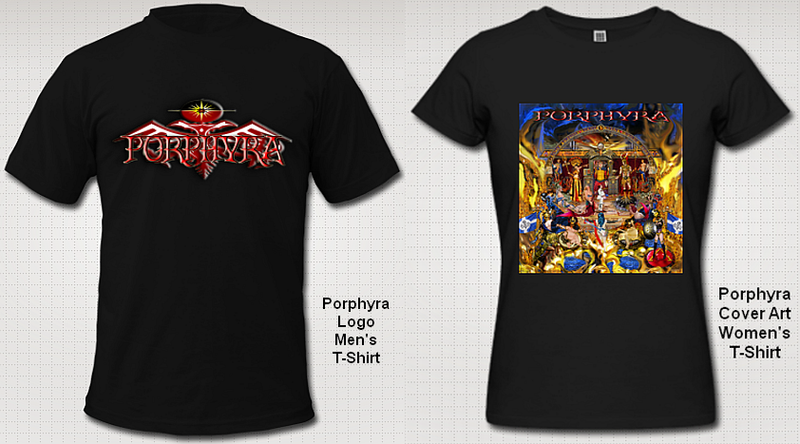 PLUS a limited edition Porphyra sticker, two Porphyra t-shirts INCLUDING your business logo on the t-shirt (if applicable), your name or business added to the sponsor page at Porphyra's website. PLUS your business logo in the playbill, official event poster, and other printed materials. PLUS two mezzanine seats at the historic debut of Porphyra, A Grecian Rock Opera at Zankel Hall at Carnegie Hall. PLUS the choice of either a music lesson OR an exclusive presentation with Billy Chrissochos’ Re-enactment Organization of Greek and Persian Armor of the Hellenistic Age at the Pan-Macedonian Studies Center. PLUS all three signed limited edition Posters of Alexander the Great’s Empire, Basil II the Porphyrogennetos’ Empire, and Album Cover (all original art by Billy Chrissochos). PLUS Porphyra will perform the album in its entirety during an intimate, private concert at Astoria Soundworks Studios. PLUS two VIP seats at the historic debut of Porphyra, A Grecian Rock Opera at Zankel Hall at Carnegie Hall. PLUS a credited part in our next music video! PLUS two VIP gold seats at the historic debut of Porphyra, A Grecian Rock Opera at Zankel Hall at Carnegie Hall. Also includes meet & greet and photo session with the performers. PLUS Executive Producer credit for our debut performance at the Zankel Hall on May 3rd. This credit will be included in all printed materials, media mentions, and on our website. Thanks to you our fans and supportes here is our Rock Opera promotional commercial! Thanks to your our friends and new fans we are getting ready to reach our first goal!!! Tahnk you all so much! Let's continue to spread the word. After Carnegie we can have a chance at Broadway. Let's make it happen.